Code VBA gives you the core of the VBA. When working with MS Access you will likely want to add features specifically to support Access VBA. 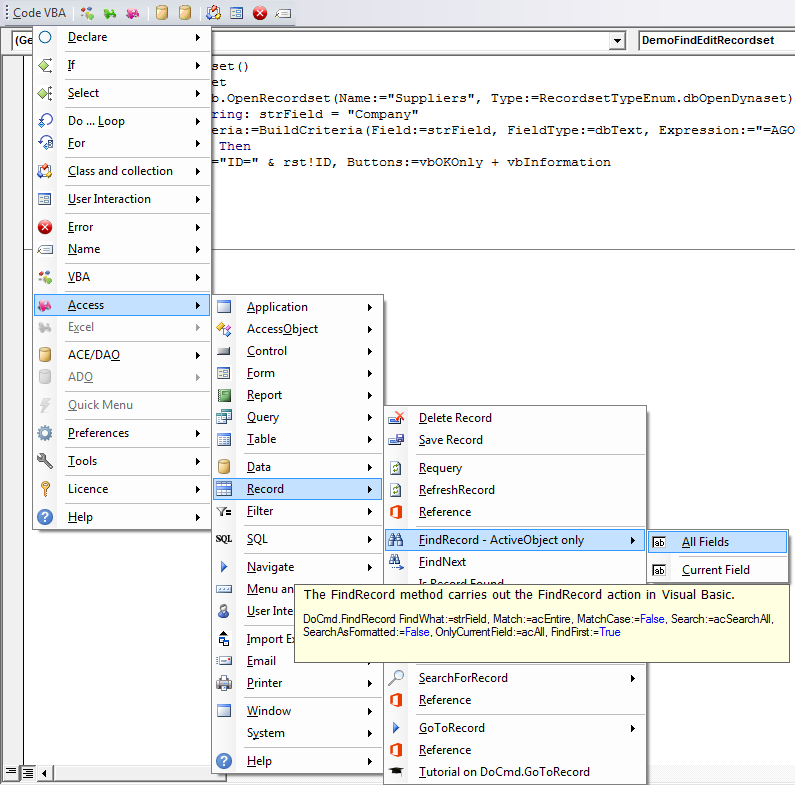 Tooltips show the description of the procedure and the code that will be inserted when clicked. Support for programmatic database access using ACE, DAO, ADO and the Recordset Builder. Access all features from the menu without leaving the keyboard using Alt-C followed by mnemonic keys. 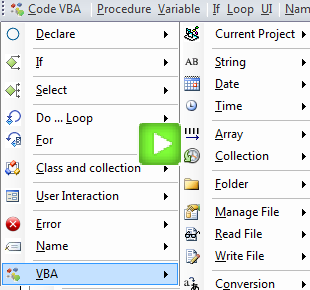 Access VBA requires Code VBA to which it is and add-on. Below pages illustrate a few fragments.